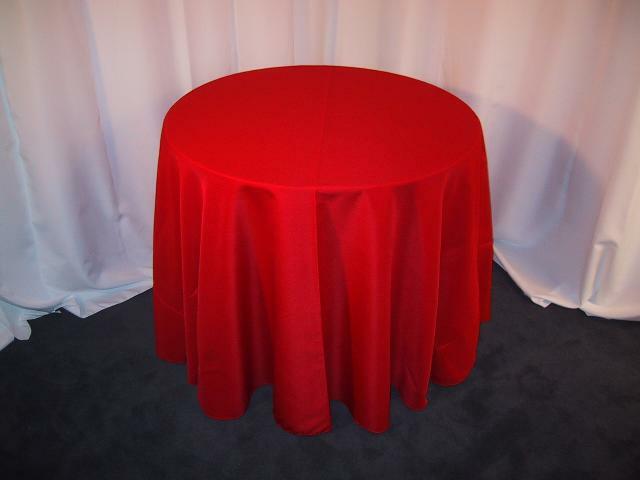 Most commonly used to provide a lap or “knee” drop on a 72″ round table. 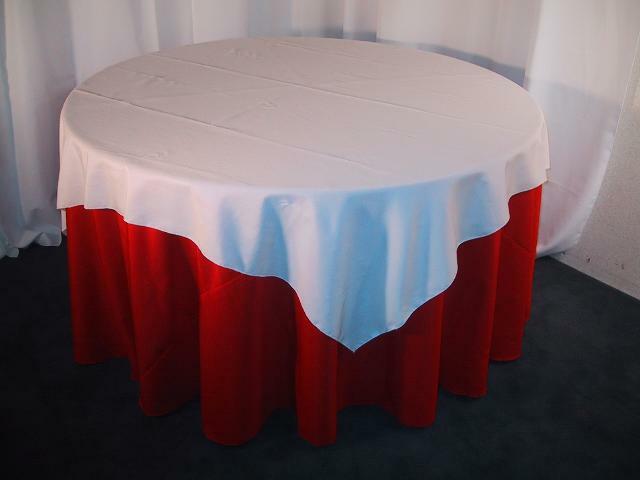 (Shown in picture on a 72″ round table). 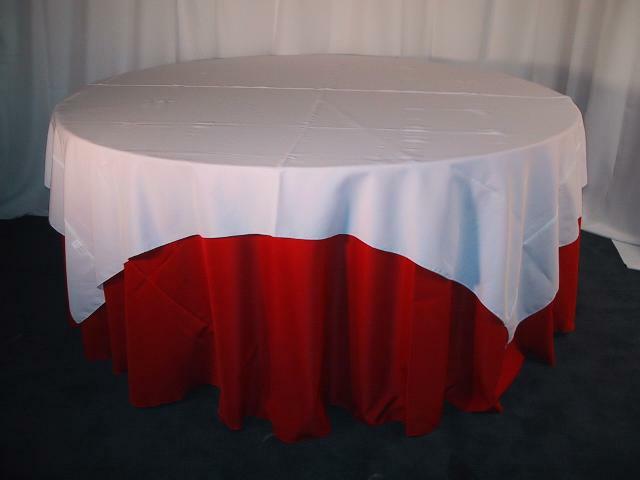 Can be used to provide floor drop on a 36″ round cocktail table or a 60″ round dining table. 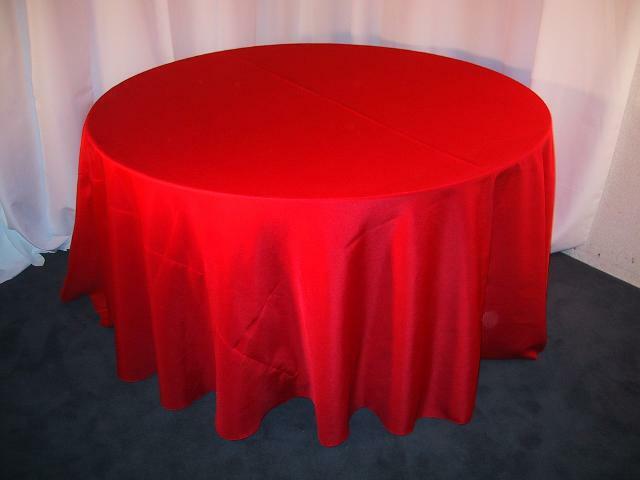 (Shown in picture on a 60″ round table). Most commonly used to provide a floor drop on a 72″round table. (Shown on 72″ round table). 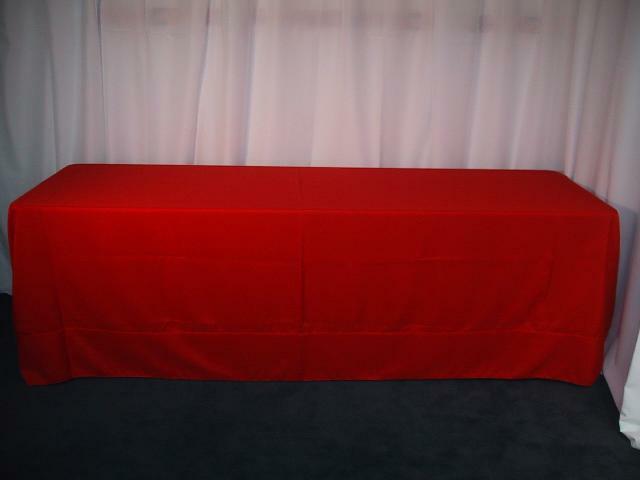 Provides a knee drop on a 6′ or 8′ banquet table. 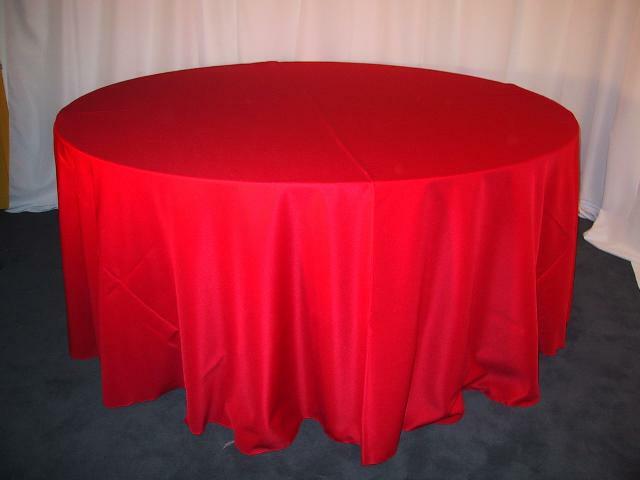 (Shown on an 8′ table). Usually used as overlay on 60″ round table. (Shown on a 60″ round table). 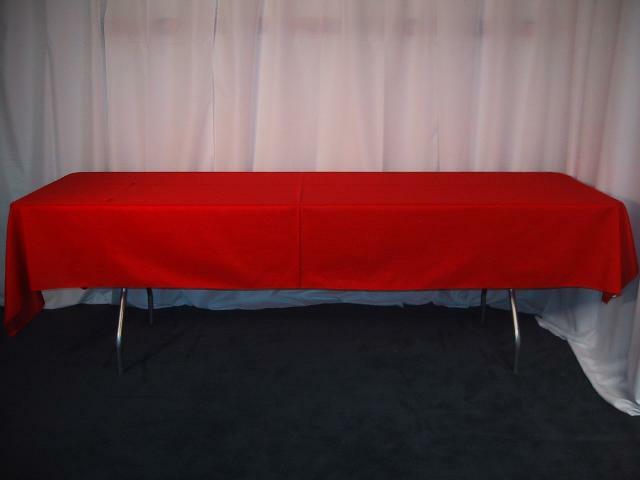 Provides a floor drop on a 6′ banquet table. Can be used instead of a skirt. 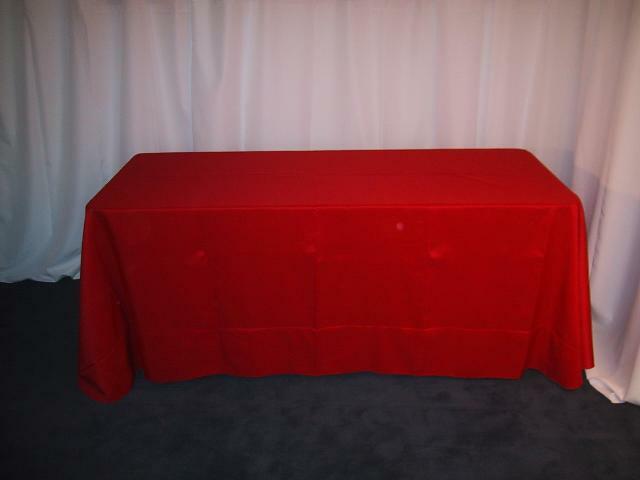 (Shown on a 6′ table). 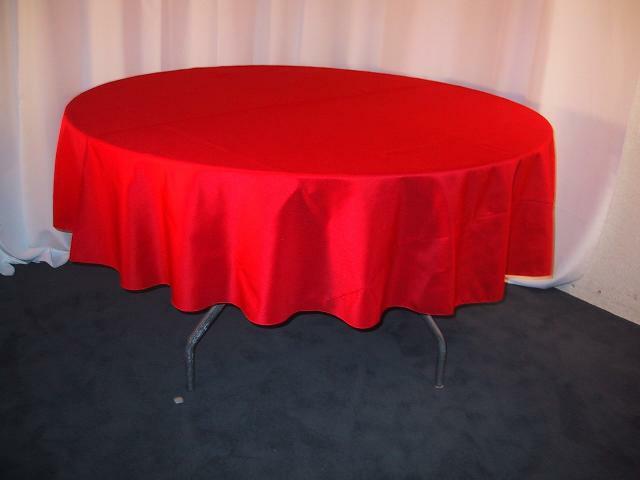 Usually used as overlay on 72″ round table. (Shown on a 72″ round table). 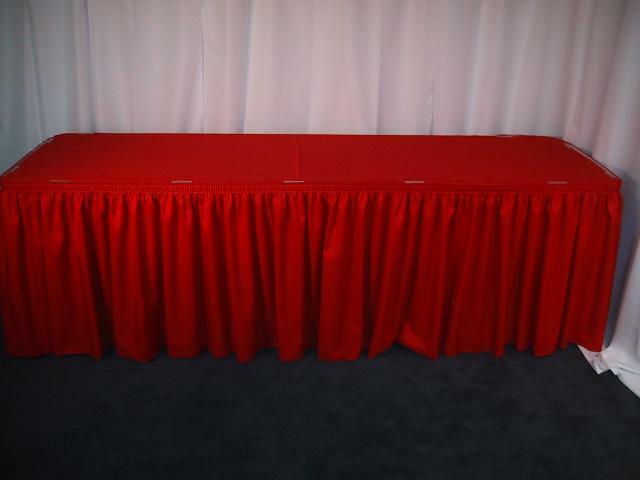 Most commonly used to provide floor drop on a 36″ round table. 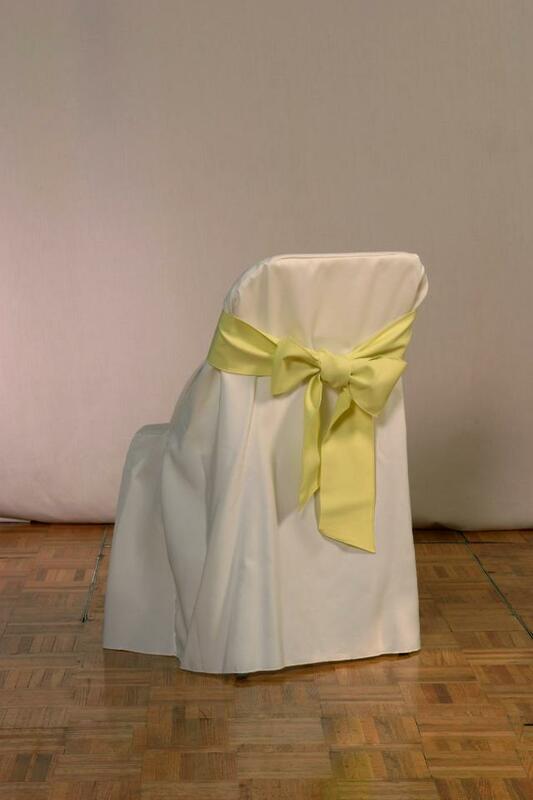 Sash can be tied on either hotel or folding chair cover.